Animals can become viral stars for any number of reasons: a hilariously grumpy face, an exquisite fashion sense or even just a ridiculous amount of cuteness. 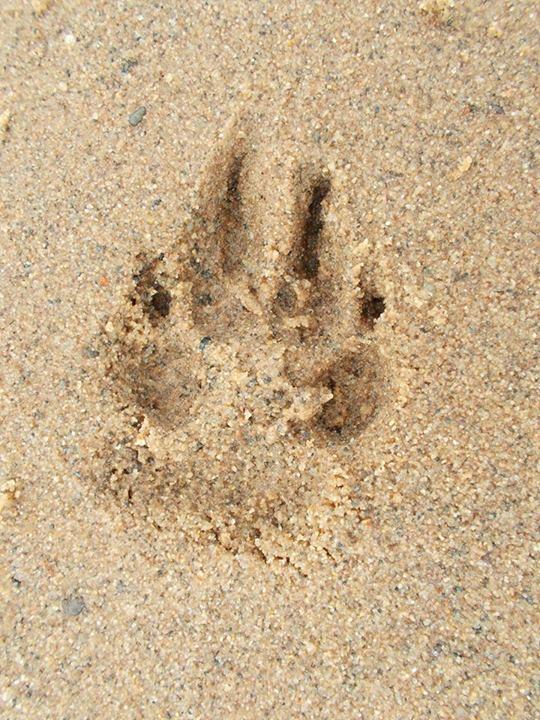 But Schoep, the German Shepherd mix who just died at age 20 on Wednesday, owed his internet fame to a photograph taken last summer. The original image, captured by photographer Hannah Stonehouse Hudson, featured the dog and his owner, John Unger, sharing a peaceful moment in Lake Superior. 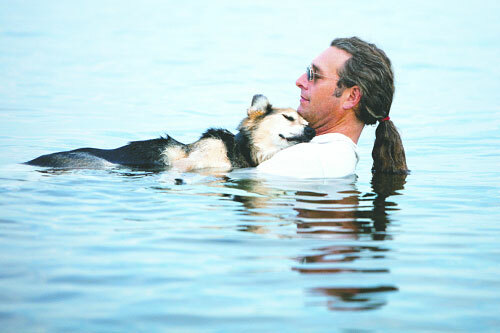 As the Pioneer Press reports, Unger, of Bayfield, Wisc., began taking his then 19-year-old pet into the water to help soothe the dog’s joint pain from arthritis. The buoyancy of the water, he found, helped lull Schoep to sleep. Unger’s friend Hudson, who wanted to capture the pair’s relationship, snapped the now-famous photo one evening and posted it on Facebook. The touching image soon swept across the web, turning Schoep into a canine celebrity. The original photo has been shared more than 214,000 times over the past year and helped raise funds for the elderly dog’s care. Animal lovers from across the globe donated more than $25,000 to cover veterinary bills, laser eye treatments and medications not just for Schoep, but for other aging dogs from low-income families in need of special care as well. More than 65,000 people have already commented on the Facebook post, sharing their messages of condolence.